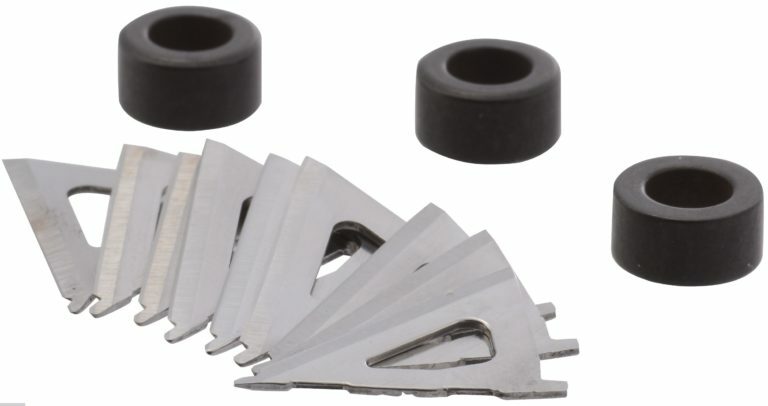 Replacement blades for Bullet 75 and 100 grain broadheads. Kit does not include washers and collars. Replacement blades (9) for Bullet 100 & 125 grain. This kit does not include washers. See #706 for 100 grain washers. See #705 for 75 grain washers.